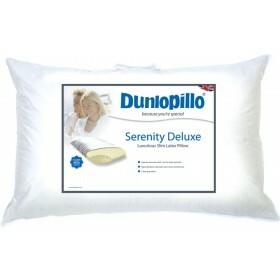 Deep, firm Dunlopillo latex pillow. Superior support and pressure relief for your head and shoulders.RRP £64.99.In Stock For FREE Express Delivery. 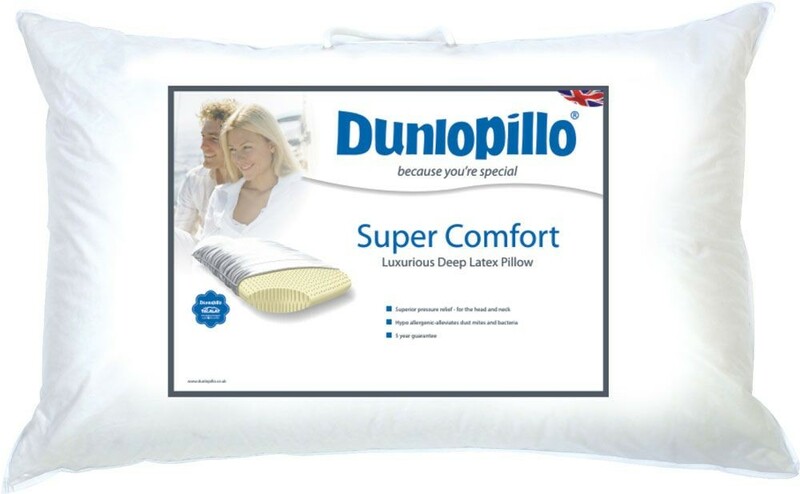 > Deep firm Dunlopillo latex pillow. > Offers superior pressure relief. > Superb support to head and shoulders. > Anti allergenic -alleviates dust mites and bacteria. > Removable stretch fabric poly cotton cover. > 5 year guarantee. > Approx. 70x40cm. > Genuine Dunlopillo pillow. Not a second, not under weight, not a poor imitation.